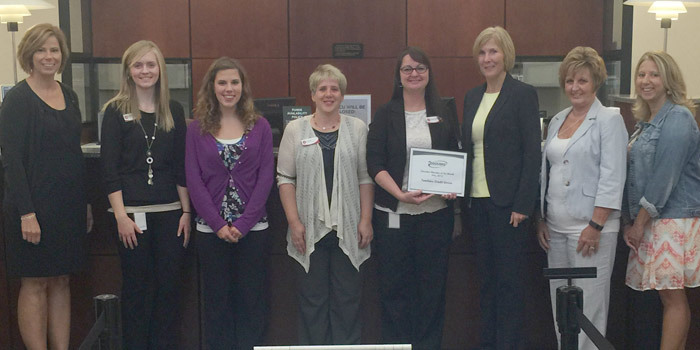 Teachers Credit Union is the Kosciusko Chamber of Commerce member of the month of July. TCU is a membership organization that is committed to communities with the focus on education. TCU is Indiana’s largest credit union and provides financial products and services to its over 250,000 members as well as non-traditional services such as travel and insurance. Find out more about TCU at www.tcunet.com or stop in one of TCU’s three branches in Warsaw. The Kosciusko Chamber chooses a member every month to thank for their support and to learn more about their business. To learn more or to get involved, visit us online at kchamber.com or like our Facebook page; Kosciusko Chamber of Commerce.